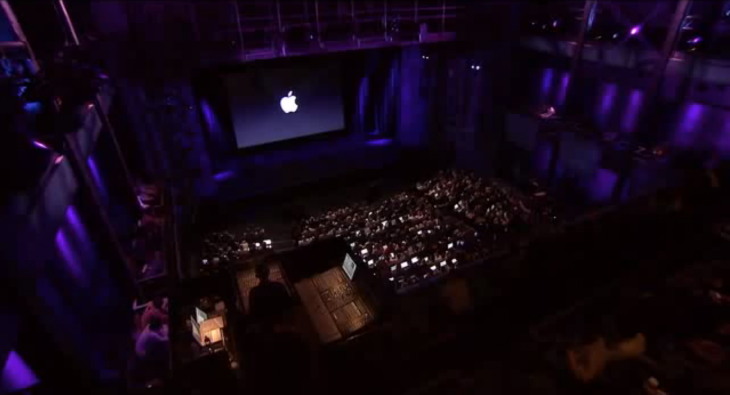 Apple keynote events are known as the best shows in the industry. They are well rehearsed, perfectly presented and highly anticipated events. Too bad we only have a few of them a year. For those of you who want to get in the mood for the next one here is our selection of the 5 most exiting Apple keynotes we’ve seen. Enjoy, and post your own favorites in the comments! This event is different from any other Apple keynote event. It is the press conference that Steve Jobs gave to explain what was causing iPhone 4 antenna issues; the little crisis known as ‘antennagate’. This is the iPad introduction special event in 2010. It was one of the more surprising and at times even most awkward events we’ve seen from Apple. The setting was different, with Steve Jobs sitting on a couch instead of walking around to show off the iPad but I also remember the mixed reactions from people who watched the event. The Cube. One of the few products where Apple really missed the ball. It didn’t sell well and the ones that did often had to be replaced because the translucent case cracked at the seams. This is the iPhone 4S introduction. The event itself isn’t that noteworthy, except for the introduction of Siri, until you realize it took place on October 4th 2011. The next day, on October 5th Steve Jobs died. The team presenting here, all close to Steve, knew he was on his deathbed and almost cancelled this event. Watching again with this knowledge makes it a poignant point in Apple’s history. If you want to watch even more Apple Keynotes check the unofficial AppleKeynotes Channel on Youtube or Apple’s own YouTube channel which also includes all their commercials. And do join us for live coverage of the keynote on September 9!